Are my students really reading? Yes! As in properly reading? Yes! The good news is that there are lots of ways to ‘read’. One of my students was retelling a familiar story book using the pictures to prompt him. He can’t decode the words himself, but he understands the conventions of reading from front to back of the book and can retell a story in a way that makes sense. 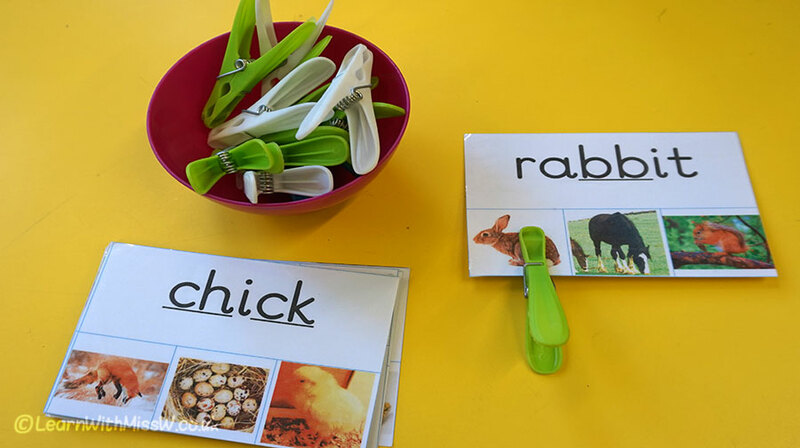 These reading clip cards are very popular in my classroom. Children should decode the words by sounding out then pick the correct picture. I have underlined the digraphs to support them. In reality so long as they can read the first sound they can probably figure out which of the 3 pictures matches. But the children have successfully matched a written word to its meaning, so they are reading. As in any class, we also have a mix of reading abilities. The other day I heard one of my children reading a familiar book aloud to another child. One was decoding and the other listening as they shared a story together. Both reading and engaging with the story even though only one of the children was able to decode the words. Reading looks different for different children at different times. We celebrate reading in all its forms and enjoy sharing stories and texts together.